and civilian use. T-ATV 1200 can be operated on sand, snow, roads, rocks, and more. 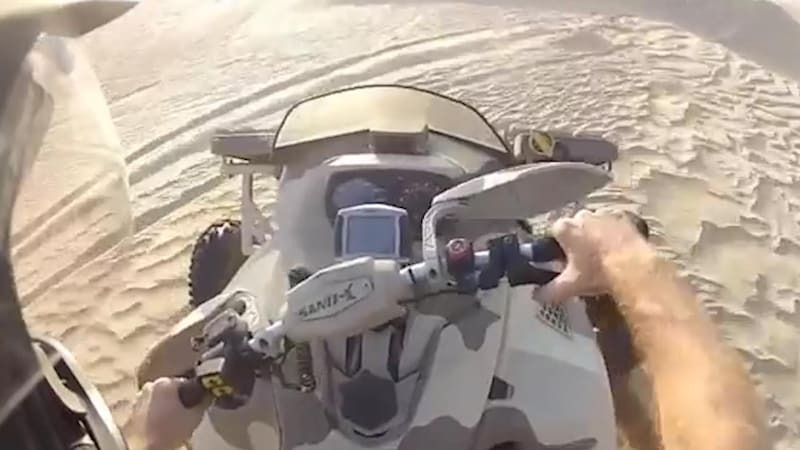 Sand-X claims that the ATV can be operated in extreme climates ranging from -58° F to 140° F. It can even be operated with a remote control when you don’t feel like manually driving it. It goes 0 – 60 mph in under 3 seconds with a top speed of 115 MPH, and has a max carrying capacity of 838 lbs.